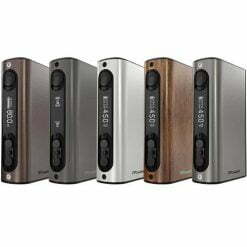 Reuleaux RX GEN 3 Dual, a new member of Reuleaux series, is more compact and portable than previous box mods. 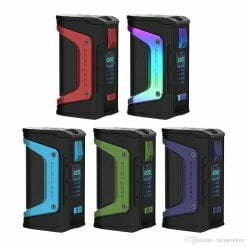 Powered by dual replaceable 18650 cells, the GEN 3 Dual is able to output 230 watts and has 2Amp quick charge capability. 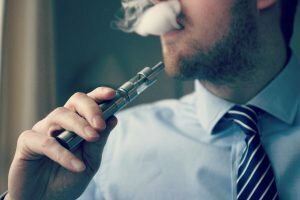 Smaller, lighter and more ergonomic, RX GEN 3 Dual is comfortable to hold and fashionable in appearance. 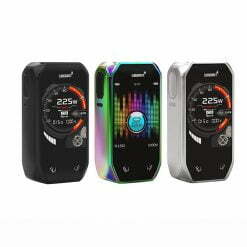 Wismec Gen 3 Dual, a new member of Reuleaux series, is more compact and portable than previous box mods. 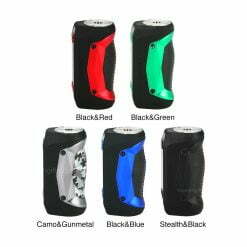 Powered by dual replaceable 18650 cells, the GEN 3 Dual is able to output 230 watts and has 2Amp quick charge capability. 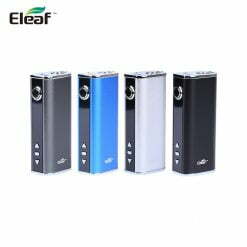 Smaller, lighter and more ergonomic, RX GEN 3 Dual is comfortable to hold and fashionable in appearance.